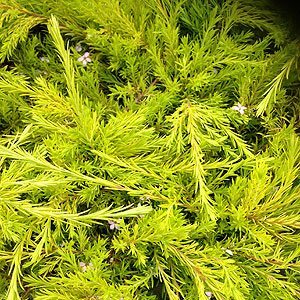 The popular Golden Diosma is Coleonema pulchrum aurea, a low growing evergreen shrub that reaches a height of around 1m. Golden foliage covered with small pink flowers from spring to summer this is a widely used landscaping plant suited to mass planting or a a feature or filler in the border. Also used as a hedging plant it grows well in full sun however will take a little shade in the afternoon. When grown as hedge space Golden diosma at around 80cm apart. This is the smallest of the diosmas, sometimes called ‘dwarf diosma’ growth rate is slow to medium. Frost and drought tolerant, a humus rich well drained soil suite well. Pruning to keep in shape is best carried out just after flowering, do not prune back into old wood as plants may not recover. Regular light pruning is best.